Private Class organises launch parties, promotional events and activities for our discerning customers. 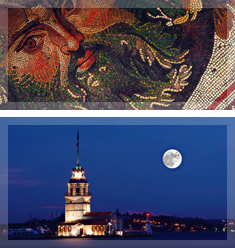 Istanbul is one of the worlds' leading and most glamorous cities in which to host special events and occasions. Istanbul was chosen one of the top 5 destinations for events by New York Times and the recent Newsweek cover feature on "Cool Istanbul" has definitely put Istanbul on the world map. Private-Class has access to a portfolio of locations and services and will commission the best people in their field to make each event a success. Numerous parties and events given over the years haveincluded the "James Bond Party" in 2003, chosen one of the Top 10 Parties of the Year by Harper's Bazaar and Queen and Harper's Bazaar, and "Racing Fever 2005" sponsored by Cartier for the opening of the first ever Formula 1 Grand Prix in July.